Egg hunting is a time-honored tradition for youngsters on Easter, but what do you do when older kids start to lose interest? What about adults who still want to have some fun? A simple egg hunt won’t do. 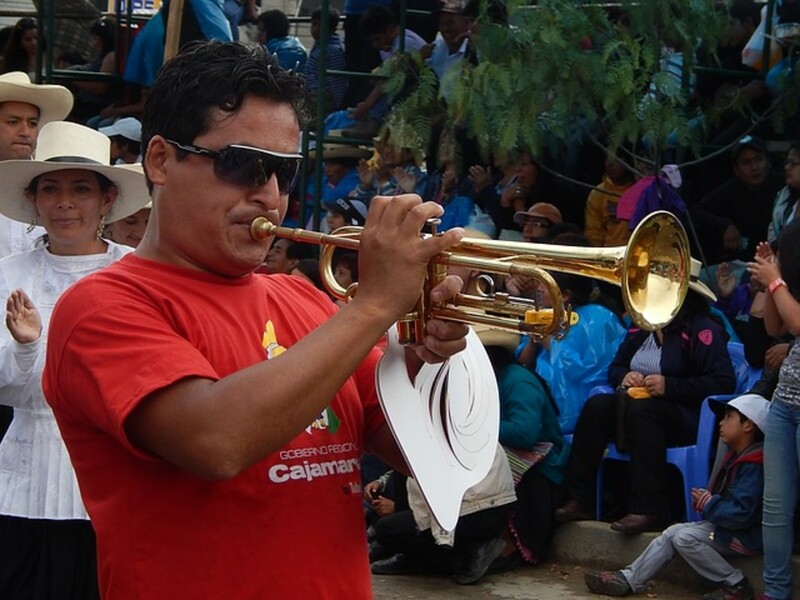 You need to step up the game with these tips. 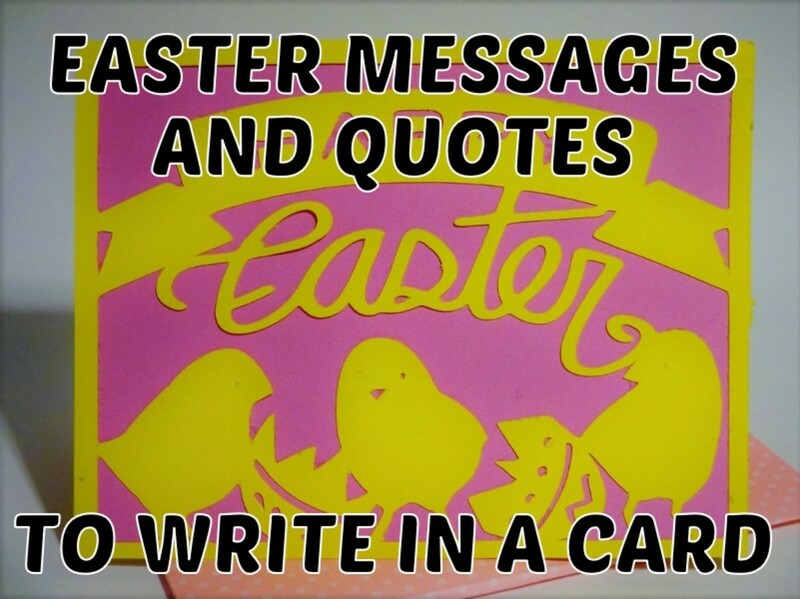 Easter will be even more fun with these awesome ideas. Now everyone will enjoy the hunt. There are several things you can do to make a traditional hunt more challenging for older kids. Find creative hiding places to give an hunt more appeal. If you can, have the hunt in a different or unfamiliar location this year. Hide items in the woods or a park, pick a place that has a lot of nooks and crannies, and don't limit yourself to hiding things on the ground (what about in the crook of a tree branch or on the side of the house?). Make the boundaries larger to increase the places eggs can be hidden. The older kids can look for the more complex hiding spots while the younger kids can find easily hidden eggs. 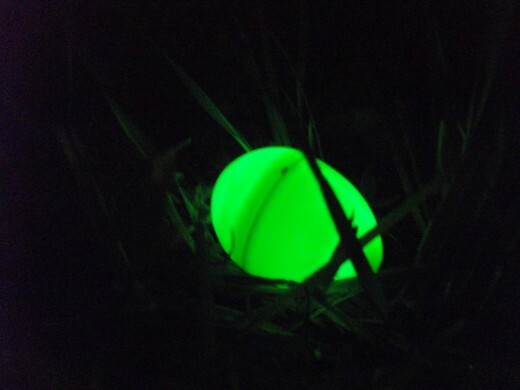 Glow-in-the-dark eggs are perfect for nighttime hunts. Decorate with glow-in-the-dark paint or stick a glow stick in a plastic egg for a nighttime hunt. Most craft stores stock glow-in-the-dark paints or glow powder. Check the labels to make sure they are not toxic before you proceed. Sometimes, you can find glow sticks at a dollar store. Find ones that are bendable so that they can be shaped to fit inside of a plastic egg. 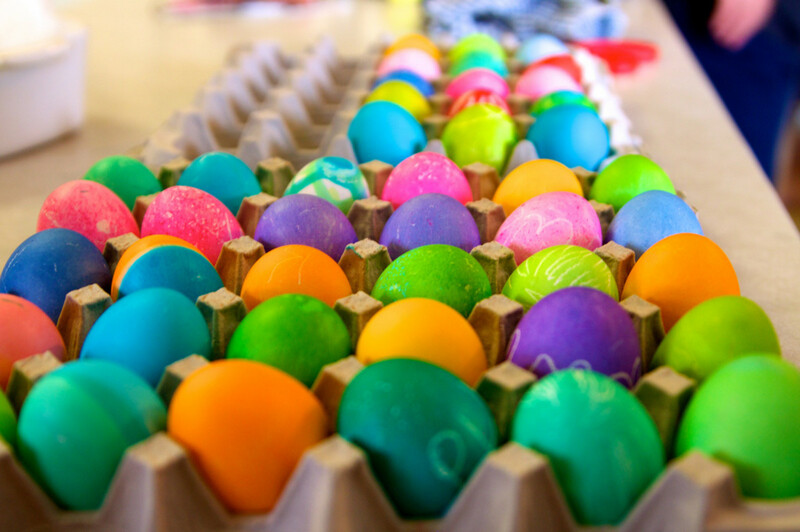 Depending on the size of the glow stick, you may need to to get the larger plastic eggs so that it will fit easier. You can also crack open a glow stick and pour the liquid inside, just make sure it is non-toxic. Some plastic eggs have holes in them, so check before you pour the glow liquid in. You can have the glow-in-the-dark hunt inside or outside. Just wait for dark, or flip off the lights. The egg hunt fun will be glowingly good! These eggs are look like grass, trees, rocks, and more. Hide something other than eggs to give a spin to the normal Easter hunt. You could hide candy, toys, rubber ducks, pictures of eggs, money (tweens and teenagers might like that), or anything else you would like. A simple twist can make the game fun again. Scavenger hunts are fun for everyone, including adults. 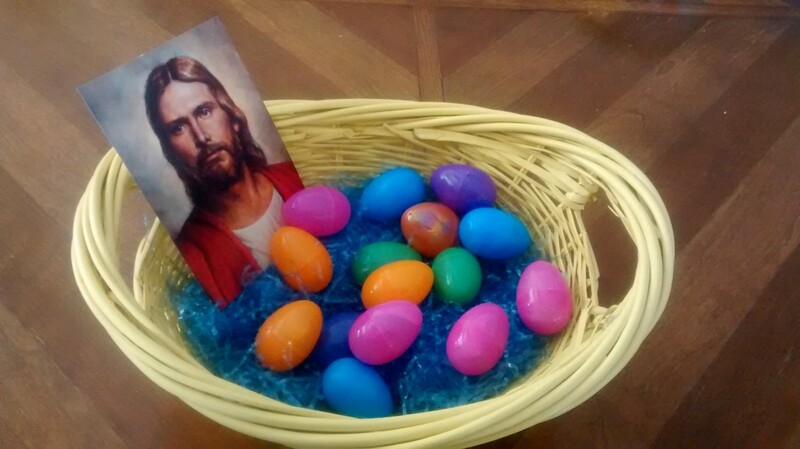 Hide clues in plastic eggs. Give each person an egg with a clue to the first hiding spot. At that spot, hide another egg with a clue to the next spot. Hide as many clues as you would like. Put a prize at the end of the hunt as a reward. If a lot of people will participate, you could create multiple hunts. The players could be broken into two or three teams who are hunting different sets of clues. The team who finds its last clue before the other teams wins the game and gets a prize. The clues can be as simple as “Look in the place where food can be made warm,” or they can be more complex, depending on the age and skill of the players. You can also take pictures of the hiding spots and then cut the picture to form a puzzle that the players must put together to find the next clue. You could also draw a map to each clue or use GPS coordinates (see section below). If several of the players can drive, spread the clues through your city to increase the size of the game and create a bigger challenge. Have fun creating the scavenger hunt. Hiding the clues can be just as much fun as hunting them. 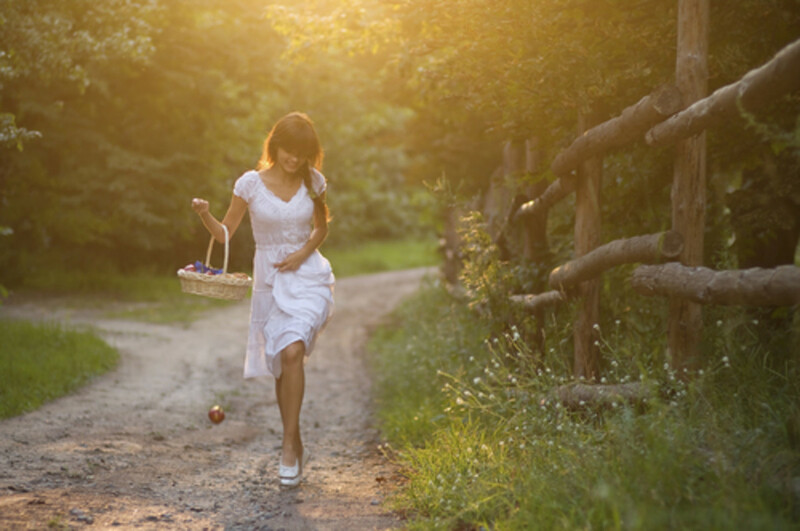 You can create a GPS egg hunt if you have a handheld GPS or a smart phone that can do walking coordinates. Similar to geocaching, you hide items at certain coordinates and the participants can find them using a GPS device. 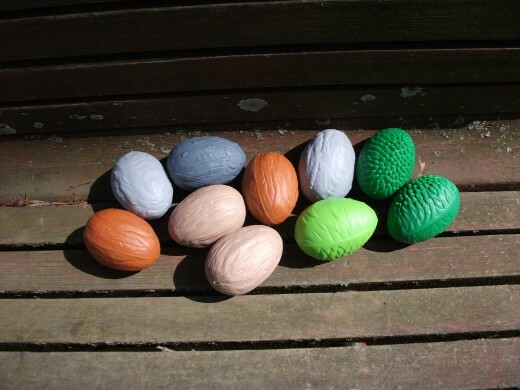 You can hide all the eggs and write down their coordinates and give a prize to whoever finds the most, or you can give each participant (or each team) a beginning coordinate and then hide the next clue in a plastic egg: Each hidden egg leads to the next spot until hunters find the final prize. If you have a large number of people playing, you can leave the eggs in their hiding spots and participants can leave small toys or pieces of candy in the eggs they find that can be traded the way tradeables are used in geocaching. GPS is becoming more and more popular in several sports and other parts of everyday life. Teaching kids to be able to use GPS is a fun and interesting way to spend Easter. Adults will also have fun hunting eggs with modern day technology. Hide the Easter baskets. Make it seem as if the Easter bunny is playing a joke. You can even make a trail to their baskets using jelly beans or a yarn maze stretched throughout the house. Play relay games. Balance the egg on a spoon while walking it to a partner. Let the kids hide the eggs and the adults search for them. Kids can find creative places! Color-code the eggs for each child. Make a rule that each child can only grab eggs that are his or her color. This will eliminate squabbles. What kind of egg hunt will you have? We have a basic hunt in yard. But the golden or silver eggs have clues to go find additional eggs or toys. It's fun. My kids are 10 & 12 and still enjoy. Just up the age in gifts. I buy pajamas and hang in tree. And always spring summer shoes. It's a great way to also get what the child actually needs. the hardest & funniest one I remember from my childhood was under a really fat cat that didn't get up often lol! peachpurple Easter is a Christian holiday & anyone can be Christian so you can have Easter. these ideas are soooo clever we should use the more often!! 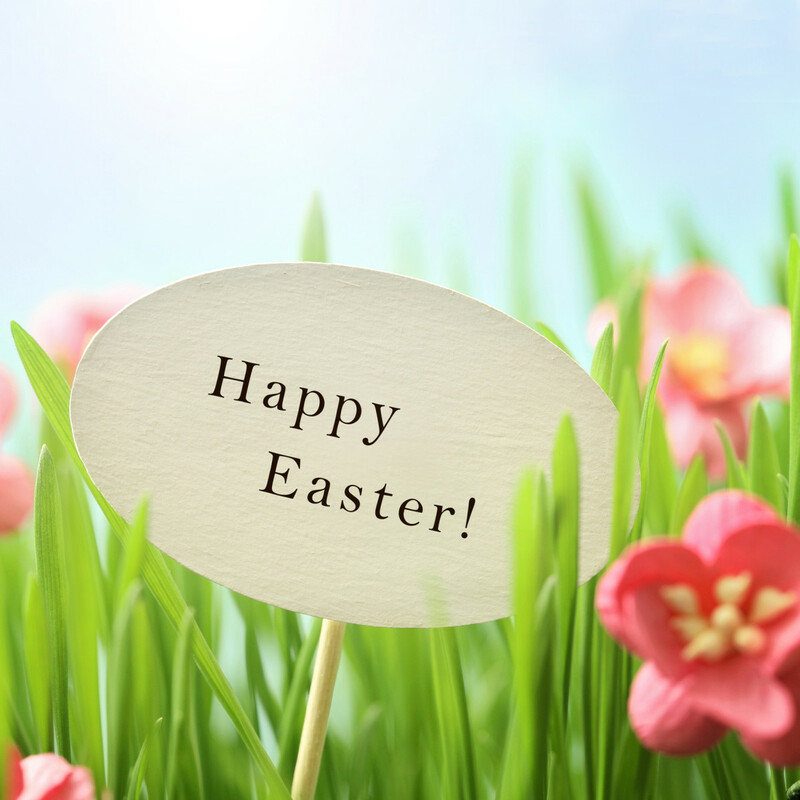 Happy Easter to everyone! Hope your egg hunts are awesome. Thanks for all the comments from everyone! Lots of great ideas here. I love the idea of a glow in the dark egg hunt. Very nice hub, happy easter to all of you. 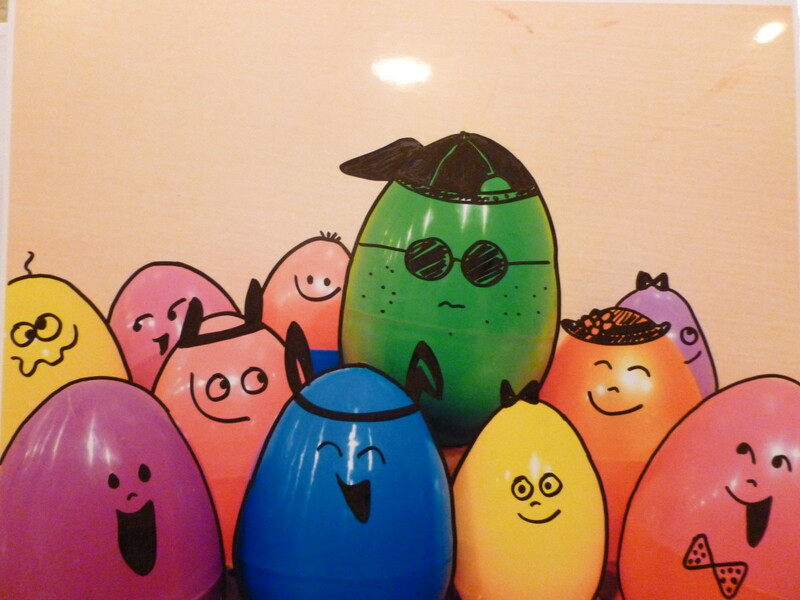 I love easter and every thing brings joy to my family, and I enjoy colouring eggs with my kids. Thanks for your nice ideas. Rated up and beautiful. Great Idea! I actually have a friend whose grandmother cooked some this year. She bought so many she had at least a thousand of them. 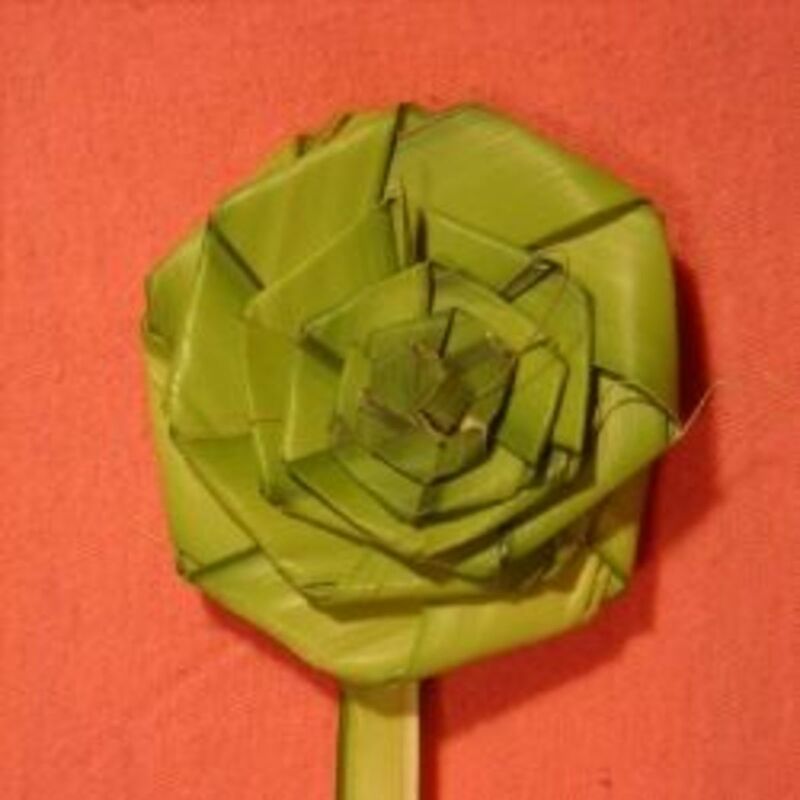 They are very intriguing and decorative, it is very meticulous work. Definitely worth it, I'd rather enjoy a boiled egg rather than some chocolates or anything that makes you go fat. Thanks for the comments. Easter is almost here. Hi cocopreme! Thanks for sharing. I´ll try this in the future. Happy Easter! Thank you for commenting! Hope your Easter is "egg"-celent! Thanks for these great ideas. I will keep them in mind for my grandchildren. Very clever!! We will be giving some of these a try. I like your ideas. I used to love scavenger hunts. Great ideas to spice up those egg hunts!